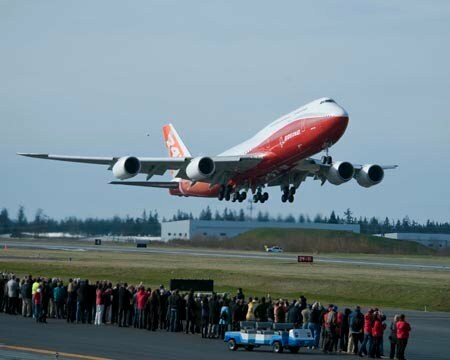 SEATTLE, 2012 /PRNewswire/ -- The Boeing (NYSE: BA) 747-8 is approved for operations at 200 airports around the world – less than six months after entering service. To date, 63 airports around the world are supporting revenue flights from 14 in-service 747-8 Freighters operated by five carriers. The approval shows the newest member of the 747 family can operate safely within an airport environment, accounting for regulatory requirements, clearances, pavement loading and parking requirements. London Heathrow Airport is the 200th airport to receive regulatory approval for 747-8 operations. 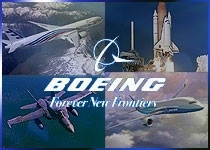 "No one knows the 747-8 better than the teams at Boeing. We put that knowledge to work by partnering with airlines, airports and regulators around the globe to ensure that our customers get the ultimate value out of their investment," said Sherry Carbary, vice president, Flight Services, Boeing Commercial Aviation Services. The 747-8 family is the only airplane above 400 seats approved to serve more than 60 airports around the world. The 747-8's increased wingspan over the 747-400 places the airplane in the lower end of International Civil Aviation Organization's (ICAO) airport design code F. ICAO airport design codes categorize airplanes based on wingspan and outer main-gear wheel span. As part of its commitment to provide customers a competitive edge, Boeing is working with airports and civil aviation authorities worldwide to ensure that the proper plans are in place to accommodate safe operations. "Boeing applied a true working together approach to create a fruitful and constructive environment to gain regulatory approvals for 747-8 operations," said Sten Rossby, chief technical pilot of Cargolux. "Our business success depends on having a sizeable choice of destinations." Boeing 747-8 operators have identified a total of 240 destination airports, significantly more than the airplane's main competitor is able to serve. Boeing offers a comprehensive portfolio of commercial aviation services, collectively known as the Boeing Edge, bringing value and advantages to customers and the industry. Boeing Flight Services offers integrated offerings to drive optimized performance, efficiency and safety through advanced flight and maintenance training as well as improved air traffic management and 24/7 flight operations support. The company offers a variety of airport technology services to help ensure that airports and Boeing airplanes interact as effectively as possible. The 747-8 family provides airlines with double-digit improvements in fuel burn, operating costs and emissions, while being 30 percent quieter and adding more capacity. A technical article on 747-8 airport compatibility is available in Boeing's award-winning customer support magazine Aero [http://www.boeing.com/commercial/aeromagazine/articles/2010_q3/3/].